4506 T 2015 is not the form you're looking for?Search for another form here. Anyone who needs a copy of their tax return should fill out form 4506 -T. Such information may come in handyduring the application for a loan. What is form 4506-T for? 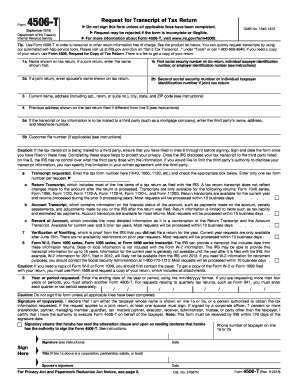 Form 4506 -T or Request for Transcript of Tax Return allows anyone to order a transcript or a printout of the previous tax return and its versions. Once you send this request, the ordered form is sent to you or directly to the third party. Besides tax return transcripts you can order its copies. For this you have to fill out form 4506. Is form 4506-T accompanied by other forms? As a rule form 4506-T does not require any attachments. However, if you fill out the request on behalf of the entity, you should provide an authorization document. If form 4506-T is signed by the taxpayer's representative, he or she should attach form 2848 that shows the delegation to form 4506-T. When is form 4506-T due? There is no set due date for the form 4506-T. It is filled out when necessary. However, there is particular deadline for the form to be processed by the IRS. Thus the IRS should receive it during 120 days from the date when it was signed by the taxpayer. 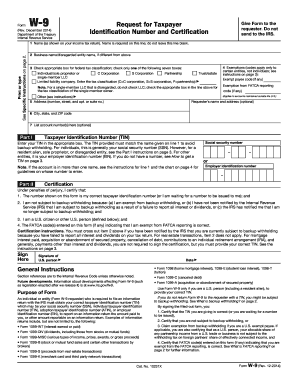 How do I fill out form 4506-T? In the remaining fields provide information about the forms requested and filer's signature. Before completing these fields, read the instructions carefully. Where do I send form 4506-T? 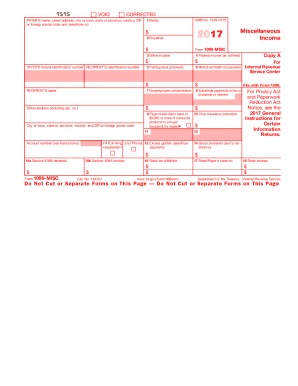 Once completed, form 4506-T is mailed or sent via fax to the address of the state where you reside or where your business was located, when the return you ask for was filed.